The Royal Castle of Ciergnon is a residence and summer retreat of the Belgian Royal Family. The domain with its woods, river and vast hunting grounds was acquired in 1840 by King Leopold I of Belgium at the request of his spouse Queen Louise-Marie. At first a hunting lodge was erected on a beautiful terrace overlooking a deep forested valley. 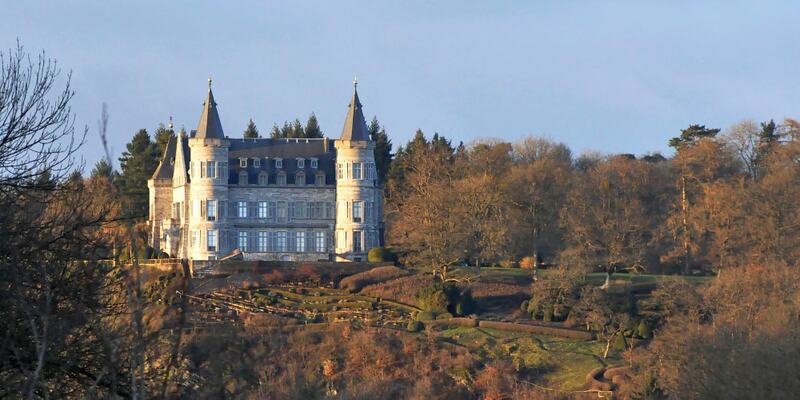 The present chateau was erected later by King Leopold II of Belgium. Since then it has always served as a holiday retreat to the Royal Family.